Take The Fun On The Go With Highlight’s 101 Bananas! 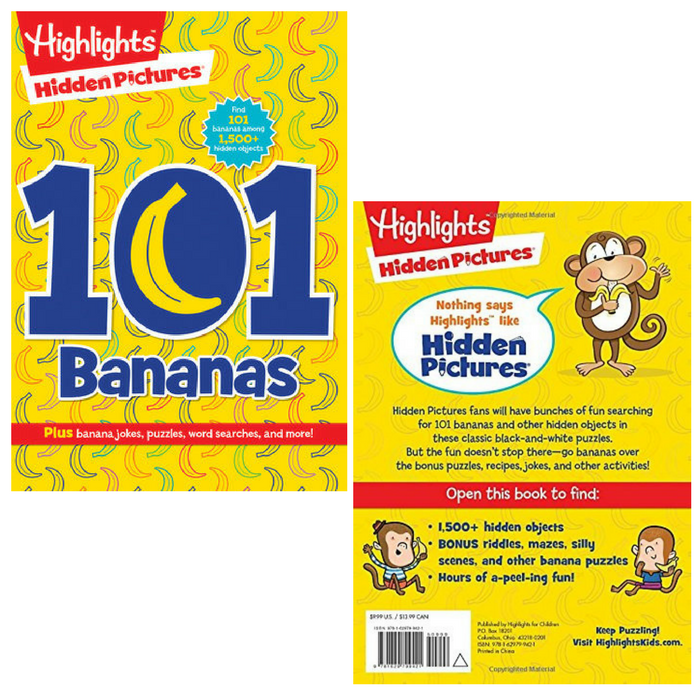 Highlights sent me a copy of their new 101 Bananas Hidden Pictures book to check out and share with y’all. This book is FULL of hidden pictures and other games! This classic Hidden Pictures® puzzle collection comes with a unique appeal – every puzzle has a hidden banana for you to find! 101 Bananas will surely a-peal (ha! get it? lol) to children of all ages! 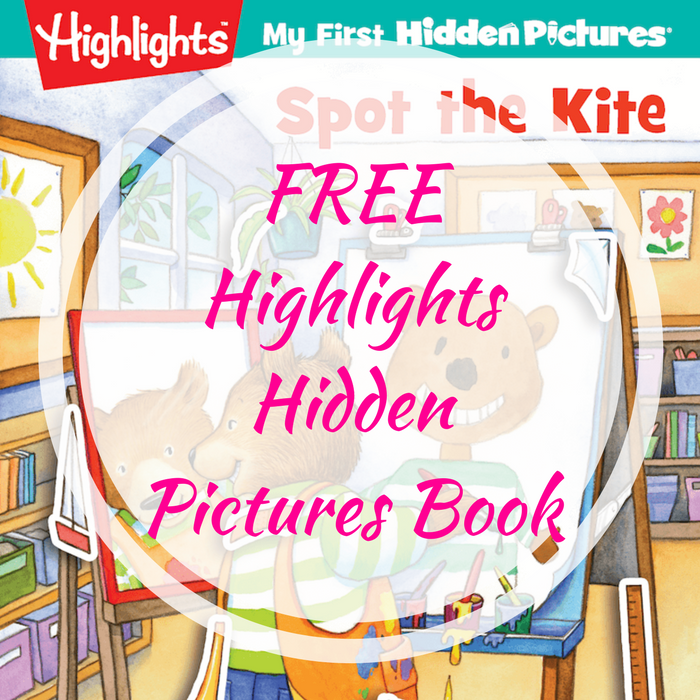 This entertaining Hidden Pictures® puzzle collection comes with more than 90 puzzles with the challenge of finding the hidden banana in each one! The 101 Bananas are hidden among a bunch of 1,500+ objects. This book is perfect for taking the fun on the go and will surely excite any child (or adult :)). Other than finding the hidden fruits, kids will love the extra full-color banana-themed puzzles, games, jokes, recipes, riddles, and more! Don’t miss the fun! Get your own 101 Bananas for only $9.99 PLUS FREE shipping! Highlights™ is the trusted brand that believes that children are the world’s most important people. From our engaging magazines to our challenging puzzle books and groundbreaking educational books, the Highlights promise of helping children become their best selves can be found in all our exceptional, high-quality products. LeapFrog 4-In-1 Activity Book Just $30.88! Down From $52! PLUS FREE Shipping! Amazon has this LeapFrog 4-In-1 Activity Book on sale for just $30.88 down from $51.96 PLUS FREE shipping! This LeapStart Level 1 Preschool 4-in-1 Activity Book Bundle consists of 1 Alphabet Adventures with Music, 1 Scout and Friends Math with Problem Solving, 1 Shapes and Colors with Creativity, and 1 “New” The World of Baby Animals Life Science and Memory Skills. Perfect for ages 2-4. NEW Level 1 Book – Baby Animals: Teaches world animals, life science and memory skills such as exploring different animal traits and habitats, practicing with science-related vocabs, and recalling object locations etc. Equips with little “Teaches” tag on each session to familiarize you with the aim of the chapter.